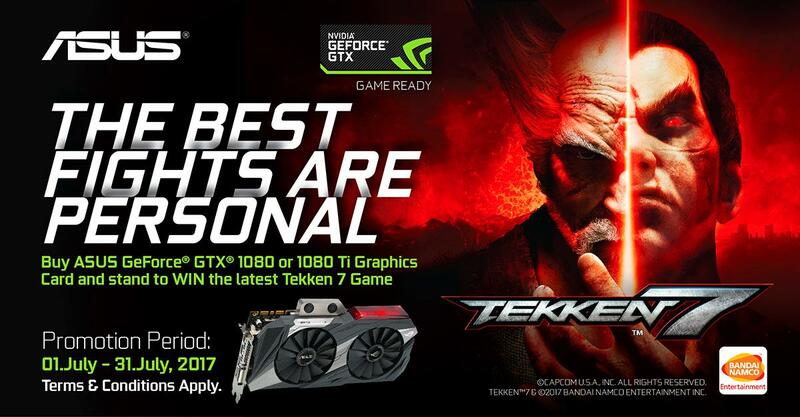 [Upcoming Promo] Stand to win TEKKEN 7 Game with any purchase of ASUS Geforce GTX1080/GTX1080Ti Series Graphics Card*. *Promotion is valid from 1st July 2017 to 31st July 2017. ASUS will select 20 winners every weeks for the TEKKEN 7 giveaway.